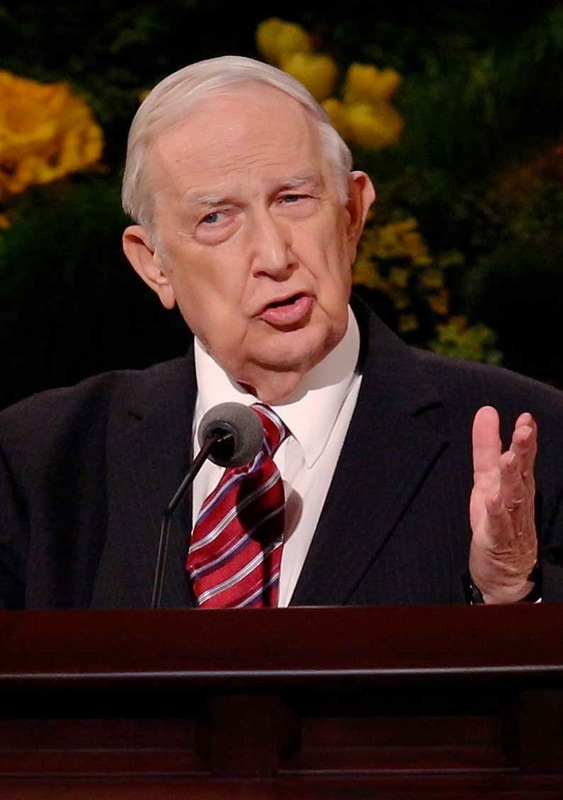 "If you have received temple ordinances but do not now visit the temple, even when there is one nearby, with all the tenderness of my heart I invite you to come back to the temple. There are many reasons. It is a place of peace, solitude, and inspiration. Regular attendance will enrich your life with greater purpose. It will permit you to provide deceased ancestors the exalting ordinances you have received. Go to the temple. You know it is the right thing to do. Do it now. "The temple ordinances are so imbued with symbolic meaning as to provide a lifetime of productive contemplation and learning. 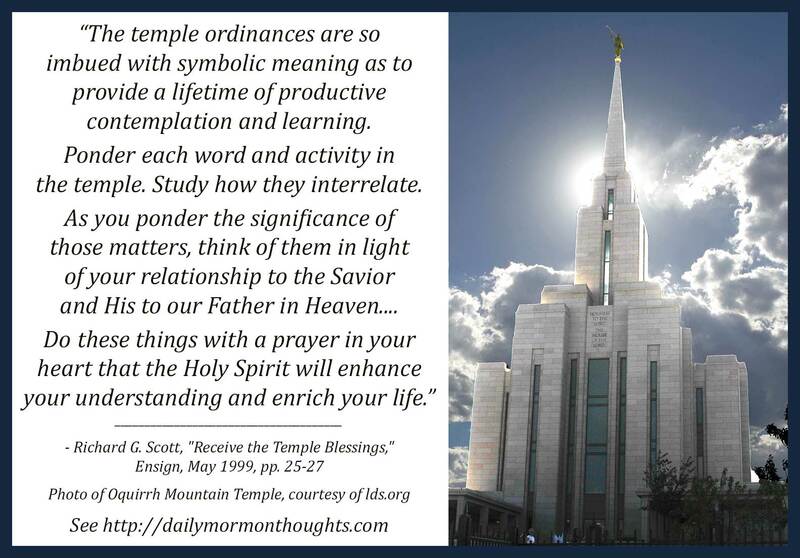 Ponder each word and activity in the temple. Study how they interrelate. As you ponder the significance of those matters, think of them in light of your relationship to the Savior and His to our Father in Heaven. Contemplate how the understanding you receive enhances your earth life by giving proper emphasis on things which are critically important. Arrange to participate for deceased ancestors in the sealing and other ordinances as well as the endowment. I find it helpful when receiving ordinances for another, to try and relate to that person specifically. I think of him and pray that he will accept the ordinance and benefit from it. Do these things with a prayer in your heart that the Holy Spirit will enhance your understanding and enrich your life. Those worthy prayers will be answered." 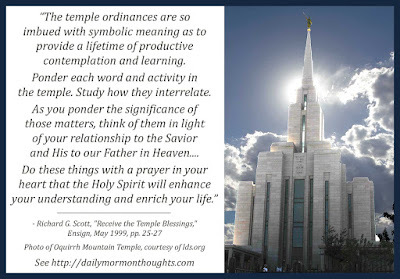 Considering how the various words and activities within the temple interrelate has been interesting to me; helpful insights about the reasons and benefits come in that effort. We begin to see new ways in which that understanding enhances our mortal experience as we can give proper emphasis to things that matter most. And when participating in proxy ordinances, Elder Scott suggests we truly reach out, spirit-to-spirit, to the person we are representing. I recently had new insights in considering a person who, because of the name and date represented, had a dramatically different lifestyle and experiences than I will in mortality; but yet, we are equally sons of God, in need of His love and His ordinances all the same. "Do these things with a prayer in your heart that the Holy Spirit will enhance your understanding and enrich your life. Those worthy prayers will be answered." So true!